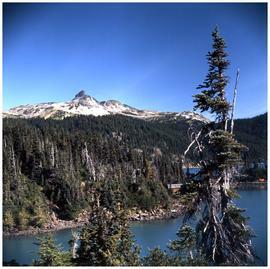 Image of what appears to be Black Tusk, a pinnacle in Garibaldi Park in southern coastal British Columbia. 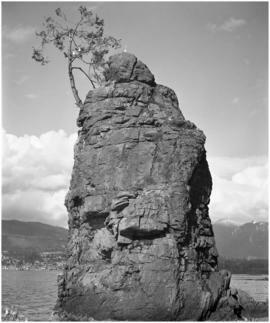 Image of hoodoos, with a few small evergreen trees growing on them, likely located in southern British Columbia. 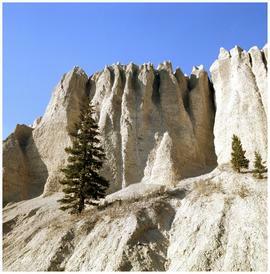 Image of hoodoos, with a few small evergreen trees growing on them, likely located in southern British Columbia. 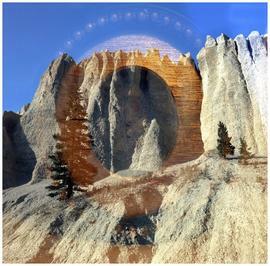 This image was double exposed, and what appears to be a frame is visible on top of the hoodoo image. 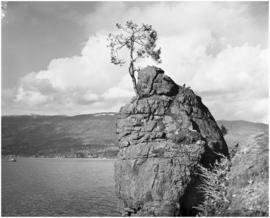 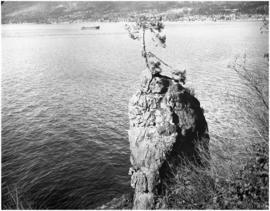 Image of Siwash Rock, located near Stanley Park in Vancouver, BC.